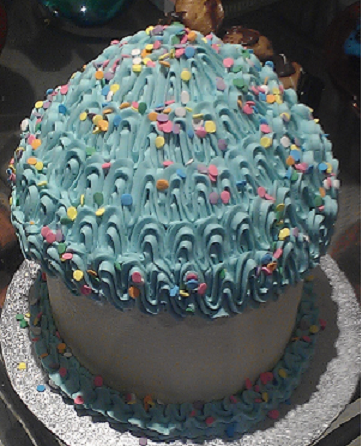 An Actual Pity Party – With Cake! 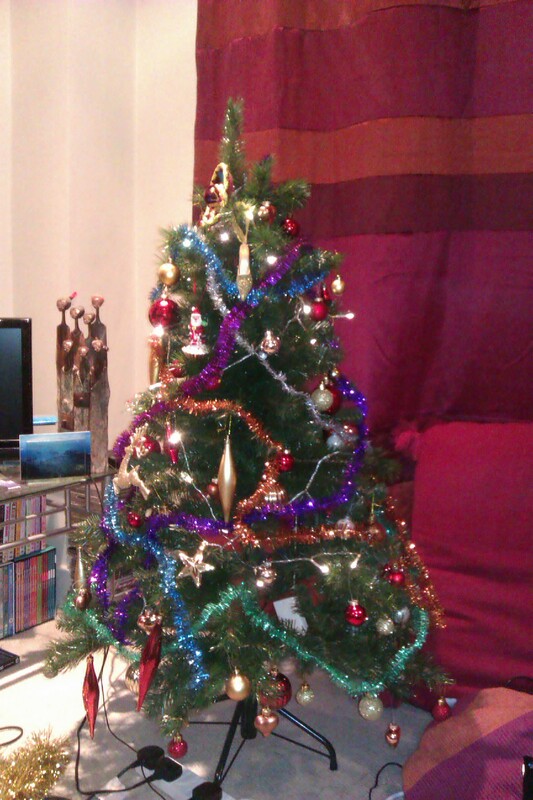 On 2nd December last year I, very excitedly, put up this Christmas tree. Then, throughout the run up to Christmas, I added more and more decorations as I bought them. And I bought new baubles every time I went shopping. It eventually had at least one bauble on every branch. I think Christmas trees are a wonderful invention, the tackier and shinier the better. But very soon it was 8th January, the day after orthodox christmas and time for the Christmas trees to come down. But the christmas tree didn’t come down. At first I thought I was just being lazy, when I kept deciding that I could put off putting it away until the next day. But the next day turned into the next week, and the next week turned into February. By this point my procrastination had worsened to the point where I was almost managing to avoid going outside. I’d even taken most of the year to date off work on short notice annual leave. I went to see my doctor who agreed that this seemed like more than just the post holiday blues. He prescribed a course of anti depressants and said that he’d refer me for therapy once they started working. Only they didn’t start working, I got worse. Much worse, where before I’d been feeling lethargic and had no interest in my life, as time wore on I became afraid of it. I was so on edge I was almost scared of my own shadow. And it got so that I couldn’t leave the flat until long after dark or the number of people around would induce a panic attack. I couldn’t really see a point to life anymore. By March I was suicidal, I was referred to the mental health crisis team twice. And I’d still not touched the christmas tree. The Christmas tree at this point had become linked in mind with my illness. I was sick of the sight of it but couldn’t summon the energy to go near it. In April I was finally signed off work and under the care of a psychiatrist. Now the tree really had to go. But I was at a loss as to who I could ask to help me. I’d been so strenuously avoiding my life for so long that most of my friends either didn’t know of or didn’t understand my illness. That’s where the ‘pity party’ came in. Two birds, one stone. On 25th May I held a ‘Taking Down My Christmas Tree Party’, explaining in the invitations that I had gone a bit crazy, but not so crazy that I wanted a fake fir-tree in my living room so long after Easter, and I needed them to box it up for me. We had virgin cocktails to help people to understand my treatment – my meds are strictly no alcohol. Tags: Cake, Christmas tree, Depression, Friends, Holidays, Mental health, Pity Party. Bookmark the permalink.